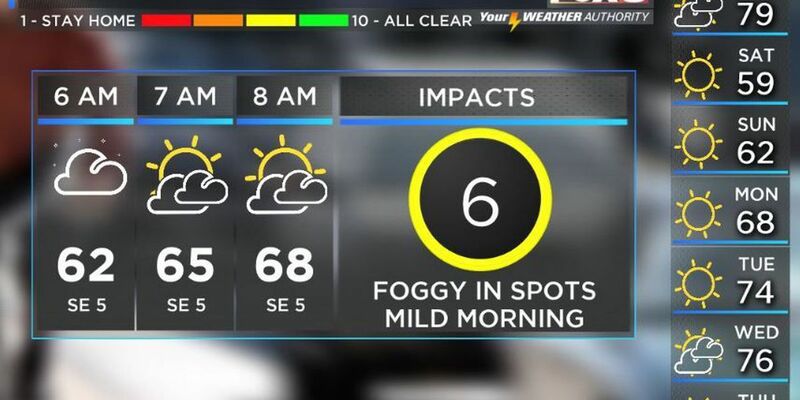 (WVUE) - Patchy fog has developed again this morning and will start to burn off after sunrise and fully clearing by 8 or 9 a.m.
Plan for one more warm day as a strong cold front approaches tonight. Highs could reach near the 80-degree mark. This evening will be mild as well. 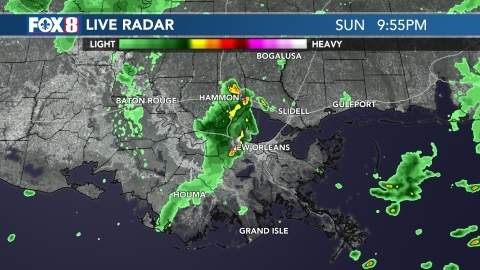 A few overnight showers are possible. Otherwise expect mainly dry conditions. By Saturday morning, the skies will start to clear and windy, colder conditions will move in. Highs will struggle to get out of the 50s. By Sunday morning, frost will be possible north of Lake Pontchartrain as temperatures dip to the 30s. Mid to upper 40s are likely on the south shore. Less wind and full sun will mean lower-60s during the day Sunday. A light freeze is possible on the north shore by Monday morning. Areas away from the lake on the south shore could see middle 30s with 40s expected in the city. Another weak front is expected to approach the area on Wednesday into Thanksgiving Day. It will likely be a mostly dry frontal passage but a few stray showers can't be ruled out. The holiday looks seasonable with highs in the low 70s and plenty of sun.